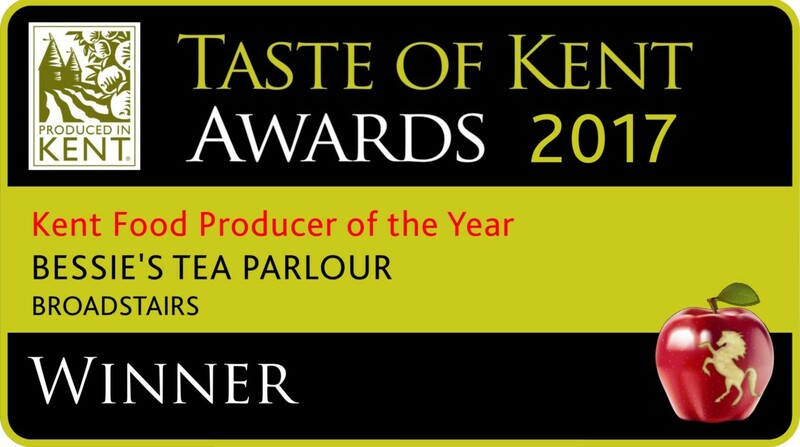 We are so delighted to have won the title of Kent Food Producer of the Year 2017 in the Taste of Kent Awards. Thank you for all the votes that took us to the final. After mystery shops, a presentation to eight judges, a tasting session and scrutiny of our suppliers list and invoices – we won! Big thanks for all our customers and suppliers support and of course the Bessie team that made it possible.